Its journalist faces high treason charges. 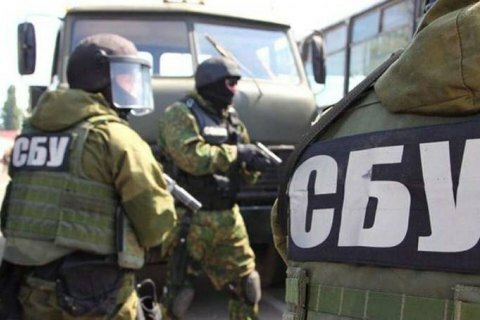 The Security Service of Ukraine (SBU) has searched the office of the RIA Novosti Ukraine news agency, part of the Russia Today media group, over its director Kyrylo Vyshynskyy's possible involvement in subversive activities against Ukraine. Five searches were carried out, SBU deputy chief Viktor Kononenko said. "The reason is information about the involvement of journalists, who are citizens of Ukraine, in subversive activities against Ukraine," he explained. "He then launched a campaign in support of the [self-proclaimed] Luhansk and Donetsk people's republics. He was paid 53,000 euros on a daily basis for these activities," Kononenko said. Transfers were made from Serbia to Ukraine. According to Kononenko, Vyshynskyy has dual citizenship – Ukrainian and Russian. His Russian passport has been confiscated and apparently he will be stripped of Ukrainian one. There are 20 witnesses in the case. These are Ukrainians involved in journalistic activities. The criminal case is being investigated under Article 111 Part 1 (high treason) of the Criminal Code.